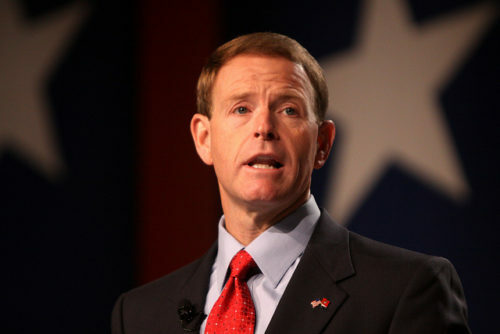 Senate Majority Leader Mitch McConnell has announced Family Research Council president Tony Perkins’ appointment to the United States Commission on International Religious Freedom in the congressional record. The Southern Poverty Law Center has categorized the Family Research Council as a hate group. The commission’s role is to review the facts and circumstances of violations of religious freedom internationally and makes policy recommendations to the President, U.S. Secretary of State, and U.S. Congress. Given his extensive anti-LGBTQ record, Perkins is the last person qualified for this position. Perkins accused ”intolerant gays” of attacking former congresswoman Michele Bachmann’s husband’s ”pray the gay away clinic. Perkins attacked the Obama White House for ”recruiting” children into homosexuality by coccontributing videos to the ”It Gets Better” campaign. Perkins compared homosexuality to drug use and warned parents not to ”condone and enable” a child being gay. Perkins warned that child abuse ”can only get worse” if the Boy Scouts admitted gays.